Face the day with CoQ10, gotu kola and argan oil. 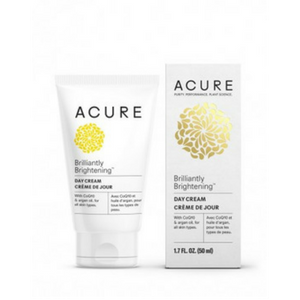 This powerhouse combo helps moisturise and protect with a one-two-three punch that fights dullness and evens out skin tone for skin that’s bright and beautiful. Serious ingredients for a stellar day. With CoQ10 and Argan Oil, for all skin types. Apply to face, neck and decollete after cleansing and toning. It’ll get you glowing. 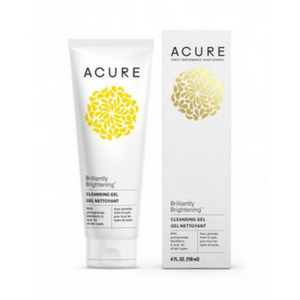 Fruit stem cell complex with argan stem cells, manuka honey and organic cane sugar gently exfoliate dull, dry surface cells for improved tone and texture as meyer lemon refreshes and revitalises for a bright, balanced complexion. 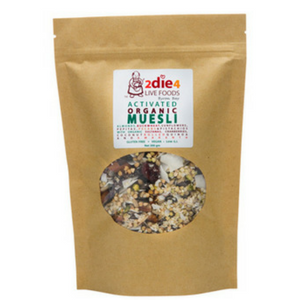 2die4’s very popular, deliciously scrumptious Activated Organic Muesli. Super with fresh fruit salad and coconut yoghurt. Low GI, Gluten Free and Vegan! 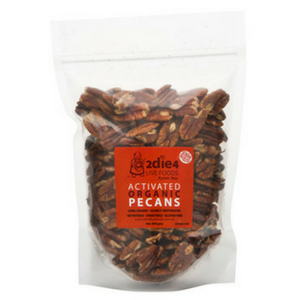 Did you know the Pecan is a species of hickory, native to Mexico and Southeastern USA? Activated in whey and lovingly fermented by 2 Die 4 Live Foods. 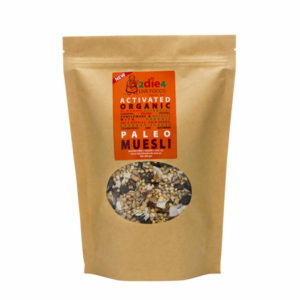 2 Die 4 Live Foods Activated Organic Paleo Muesli, made to a traditional recipe found somewhere inscribed on a rock. Some believe it to be over 10,000 years old! All that aside, it tastes good and that’s what really matters right?